Featuring: More than 30 artists, including Kanye West, 2pac, Snoop Dogg, Outkast, Lil Wayne, Drake, Beastie Boys, Wu-Tang Clan, Nelly, LL Cool J, Nas, and Run-D.M.C. 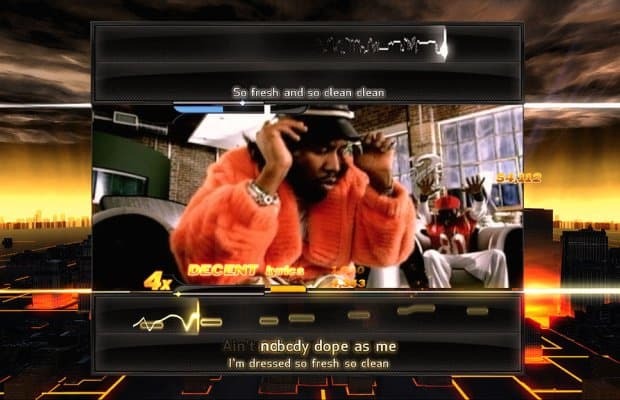 Singing games exploded a few years back, and 2010's Def Jam Rapstar was the hip-hop response to the phenomenon, letting you show your skills on the mic as the beat and video from one of dozens of hot tracks played on. Hits like Kanye West's "Gold Digger," Snoop Dogg's "Gin & Juice," and Drake's "Best I Ever Had" are included on the disc, plus loads of additional tracks can be downloaded and purchased. Sadly, the game's community website recently went down, so some features may be lost for good.